Good Bye UDA. There isn't much for me here and I'm not sure if this academy is going to hold is ground very long; could be wrong though. 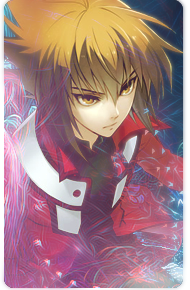 Anyway I'm taking my a$$ back to DA where I belong as a slifer >< and work my way up. It was to easy to become a RA duelist btw -_- I mean there are tuns of us. A noobie like me almost made it to oby. Have fun, good luck, and goodbye. Re: It was a pleasure being here for the moment. We all worked too hard to let it all go to waste. What I don't get is why you think your a bad duelist. Spicer wrote: It was to easy to become a RA duelist btw -_- I mean there are tuns of us. A noobie like me almost made it to oby. Hinata in danger: the reason for the next NaruHina moment? Possible Naruhina Moment 647 ?